Lighter evenings mean we have longer in our gardens and with temperatures rising in May, we should experience some beautiful sunny days. 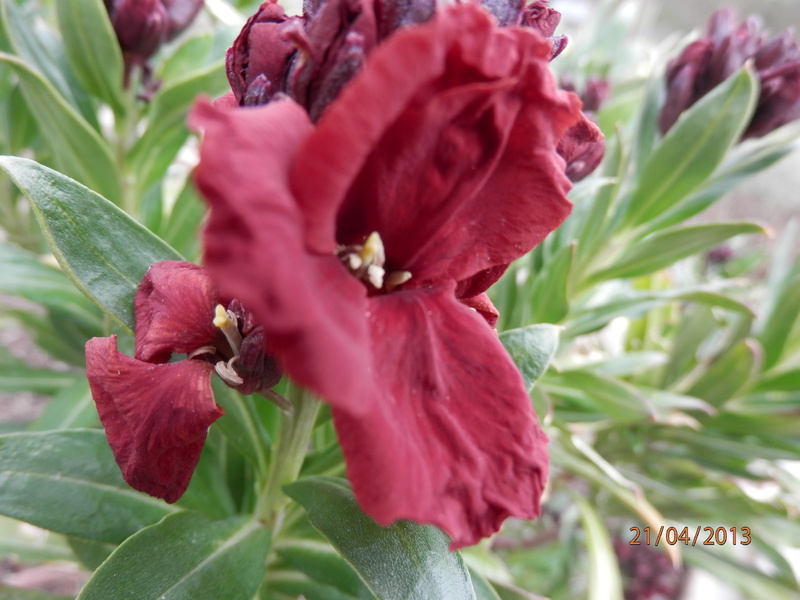 However there may still be some overnight frosts which can kill tender plants. May is a good month for sowing seeds outside, but only if the ground has warmed up or the seeds will just rot in cold wet soil. Be careful not to sow all your seeds in one go, as you will end up with a ‘glut’ of vegetables and salads that are all ready to eat at once. It is far better to ‘stagger’ your sowings to spread out your harvests. 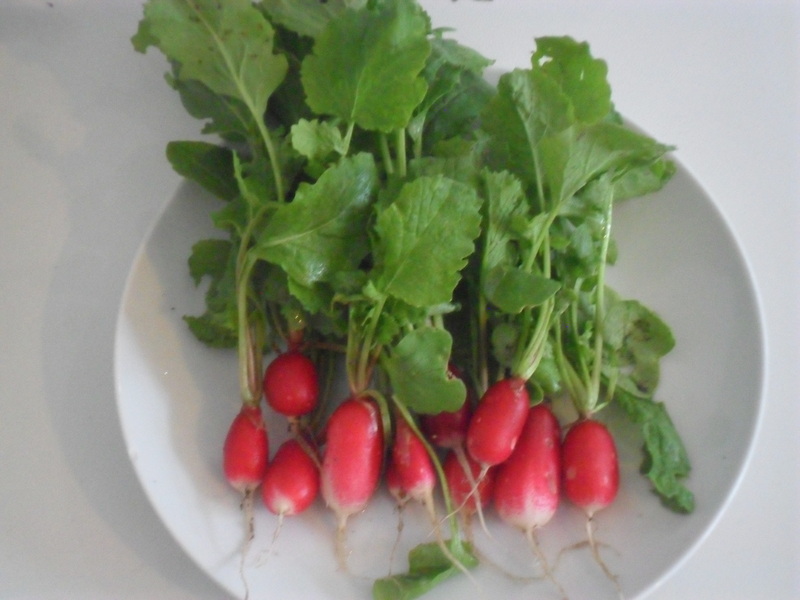 Lettuces, radishes, mizuna, and overwintering spring onions can be harvested this month, together with spring cabbages, spinach beet, swiss chard and spinach leaves. Rhubarb, turnips, cauliflowers, asparagus, tiny globe artichokes and if you are really lucky you may have garlic while it is still ‘green’. Sweetcorn, French beans, corn salad, beetroot, runner beans, cucumbers, patty pans, pumpkins, courgettes and gherkins. Herbs include coriander, basil and parsley. 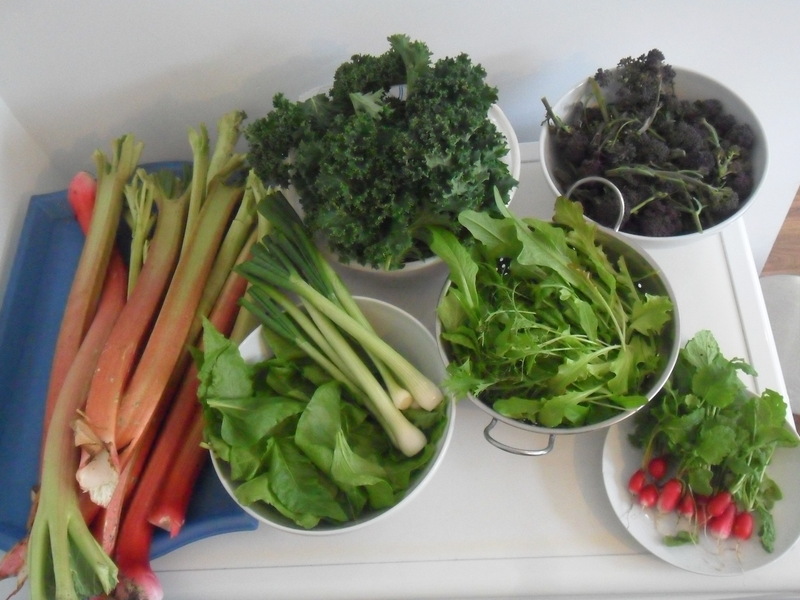 Turnips, kale, Florence fennel, cauliflowers, peas, mangetout, swiss chard, spinach beet, spring broccoli, brussel sprouts, swedes, carrots, radish, rocket, kohl rabi, calabrese, beetroot, cabbages (red and white), chicory, land cress, lettuces and salad leaves, oriental leaves, spring onions. Be careful when you plant out tender seedlings this month, as there can still be frosts in some areas up until the end of May. 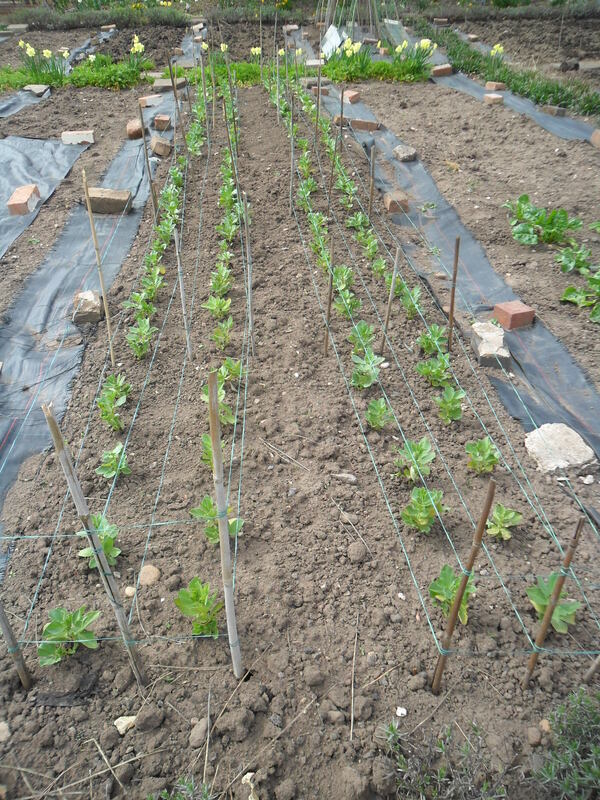 If you have planted out seedlings and a frost is forecast, make sure you cover them with fleece or cloches, though it is better to wait to plant them out, if at all possible. Also, make sure all seedlings are fully ‘hardened off’ before you plant them out. ‘Hardening off’ is a process where you gradually acclimatise the plants to outside temperatures and conditions over two or three weeks. You can find details of how to do this on the RHS website here. 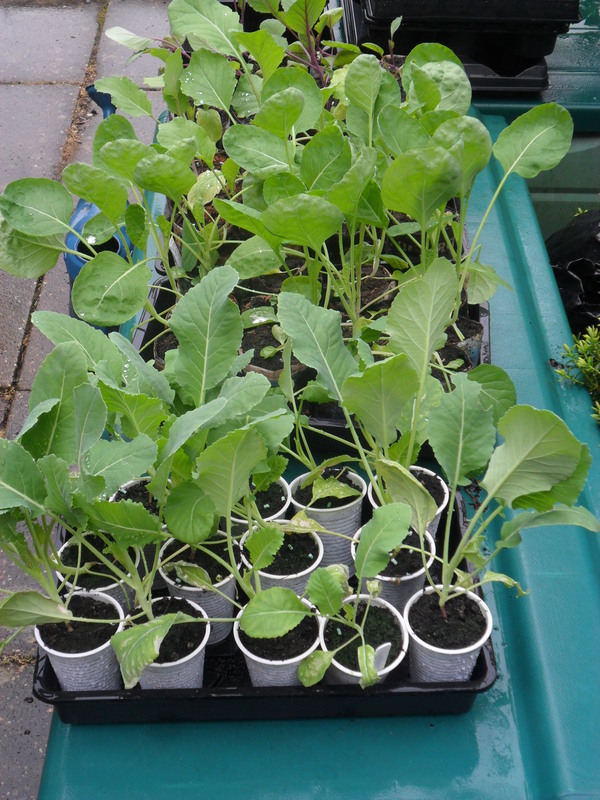 Brassica’s can now be planted out, these include brussel sprouts, red and white cabbages, cauliflowers, kohl rabi, spouting broccoli, calabrese and kale. Leeks and peas can be planted out too. 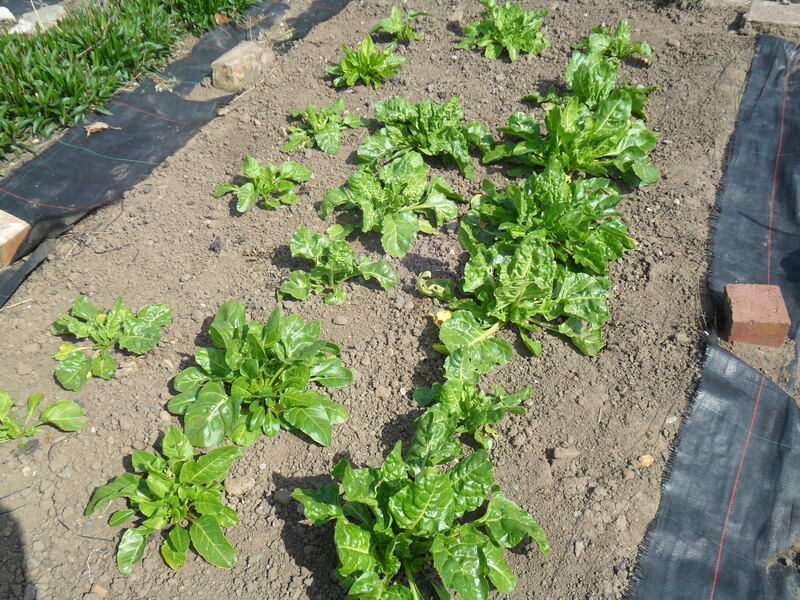 Lettuces and salad leaves can be planted but beware of frosts and cover them if necessary. Towards the end of the month, when frosts have passed, you can plant aubergines, peppers, chilli’s, outdoor cucumbers, pumpkins, courgettes, marrows, patty pans, runner beans, French beans, asparagus pea, celery, celeriac, summer squashes, sweet corn, tomatoes, florence fennel and sweet potatoes. Offsets from globe artichokes should be planted this month and rhubarb plants can be transplanted. Strawberry plants can still be planted this month, together with blueberry plants. Cape gooseberries can also be planted but they need protection from frosts. Herbs that can be planted outside are thyme, parsley, dill, fennel, borage and coriander. 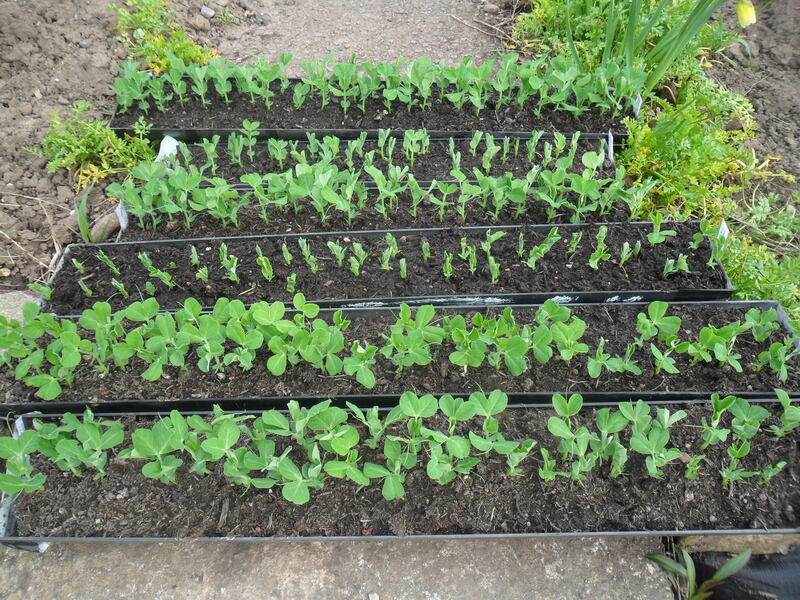 Water seedlings when required, as May can be a dry month. Harden off seedlings ready to plant out. Weed and mulch fruit bushes. 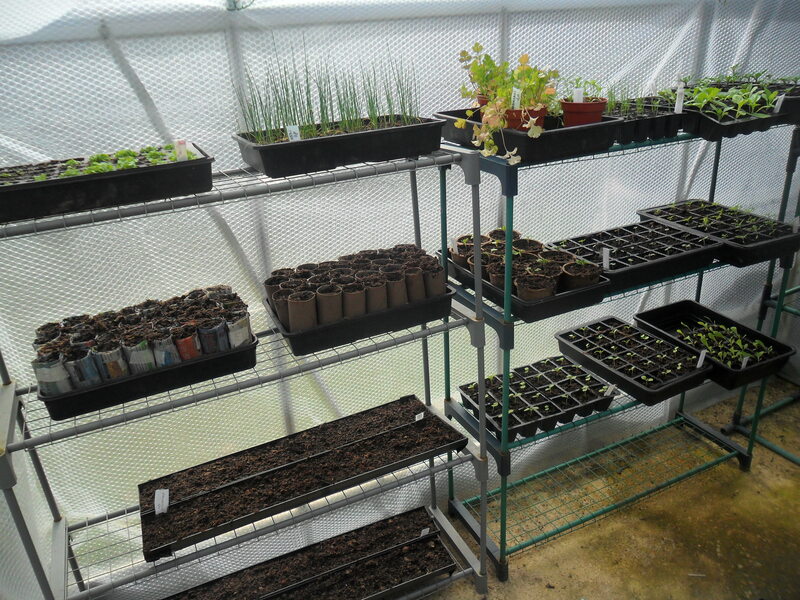 Thin out seedlings, so they have room to grow. 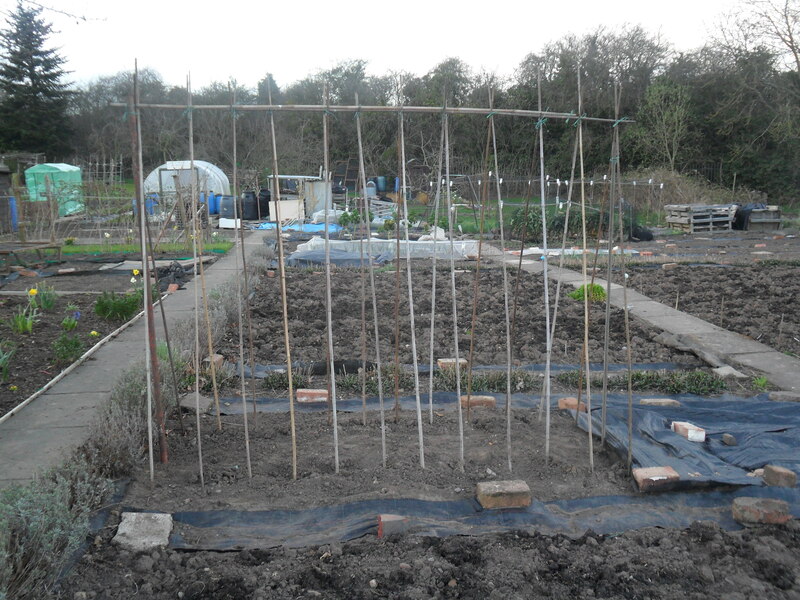 Support broad beans to stop them from falling over. Pot on plants that are becoming too big for their pots, but are not ready to be planted out e.g. squashes, before they become ‘pot-bound’. Pick off the flowers on new strawberries, so the plant puts its energy into making a good root system instead of producing fruit. Feed globe artichokes with a high potash fertiliser and mulch them. 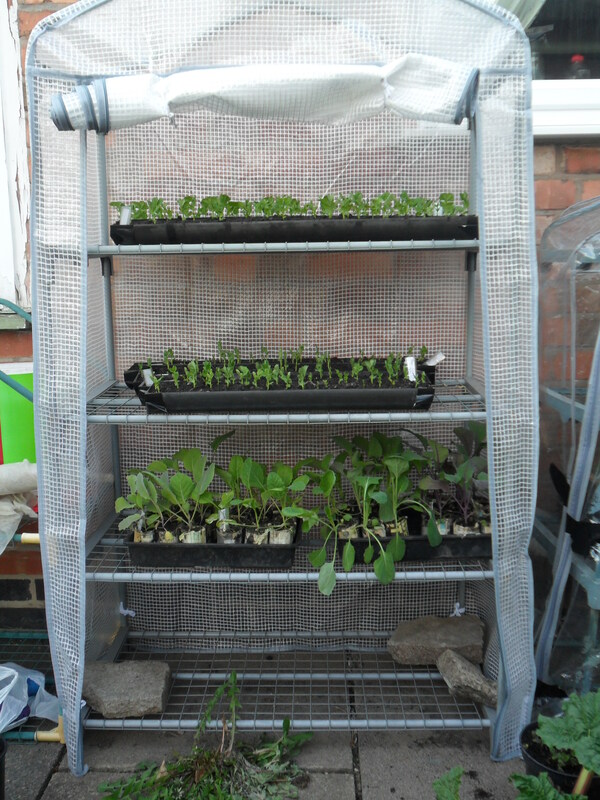 Transplant vegetable seedlings, keeping an eye out for frosts. Weed and mulch around fruit bushes. Remove any dead, diseased leaves from strawberry plants. 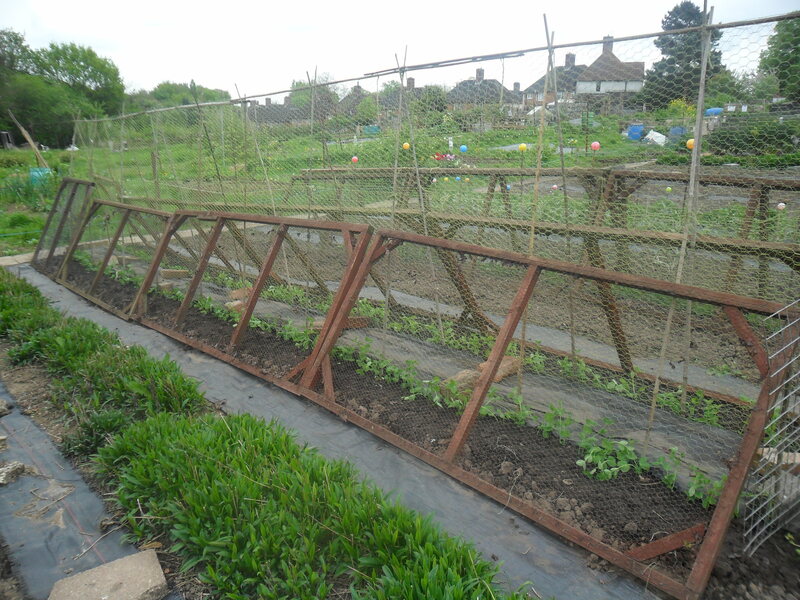 Put up supports for climbing peas and climbing French beans and runner beans. Pigeons are hungry and will eat brassicas, peas, strawberries and even lettuces if they are really hungry, so keep them netted. Slugs and snails will eat newly planted seedlings. Wet weather will bring them out, especially at night. Flea beetle can be a problem this month, leaving tiny little holes all over leaves (especially in dry weather). They especially like brassica seedlings. Plants do usually recover, though when they are badly affected it can stunt their growth. 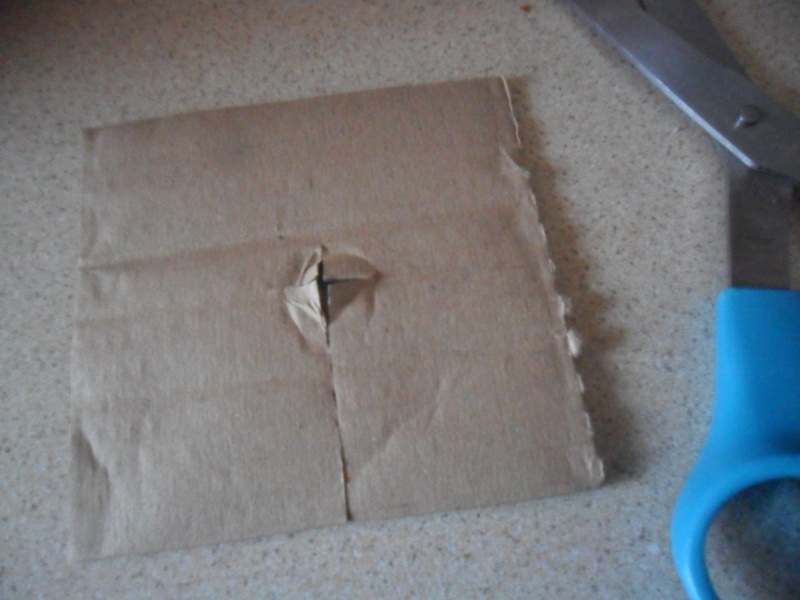 Keep the seedlings moist so they grow as strong as possible. Check gooseberry and currant bushes for the sawfly larvae which look like caterpillars and pick them off. Also, check for currant blister aphid (you can see an example here) and American gooseberry mildew (you can see an example here). Blackfly love the soft new growth on broad beans. As soon as the first tiny pods start to form at the base of your plants, ‘pinch off’ the top couple of inches of your broad bean plants, which will help to deter the blackfly. Protect early carrots from carrot flies, as they are laying their eggs this month. Lay a mulch of dry straw around your strawberries, this will keep the strawberries off the wet soil (which prevents them from rotting) and stops annual weeds from germinating. Check apple and pear trees for canker (you can see an example here). Hang pheromone traps in apple trees to attract and catch the male codling moths, to prevent them mating with a female this month. 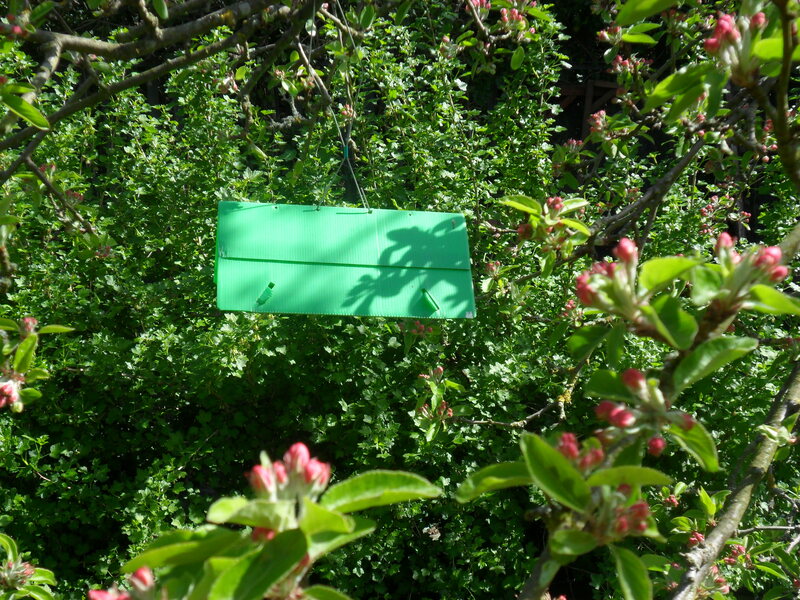 Also hang pheromone traps in plum trees to attract the plum moths, again to prevent them from mating. It must also be noted that it has been very cold lately and this year’s plants and seeds are a few weeks behind than normal, therefore please remember that this is a general guide. Lighter evenings mean we have longer in our gardens and with temperatures rising in May, we will hopefully experience some beautiful sunny days. 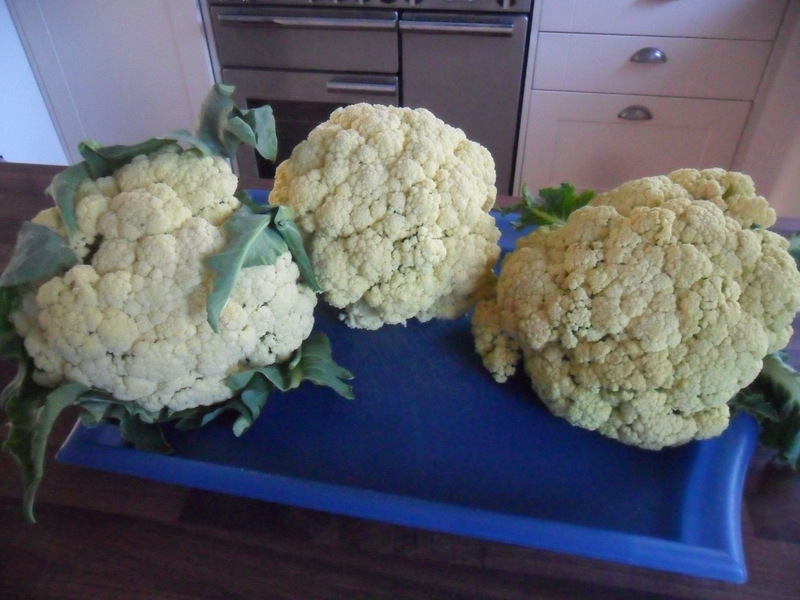 However, there are still some overnight frosts which can kill tender plants, so we still need to be careful. Be careful not to sow all your seeds in one go, as you will end up with a ‘glut’ of vegetables and salads all ready to eat at once. It is far better to ‘stagger’ your sowings to spread out your harvests. 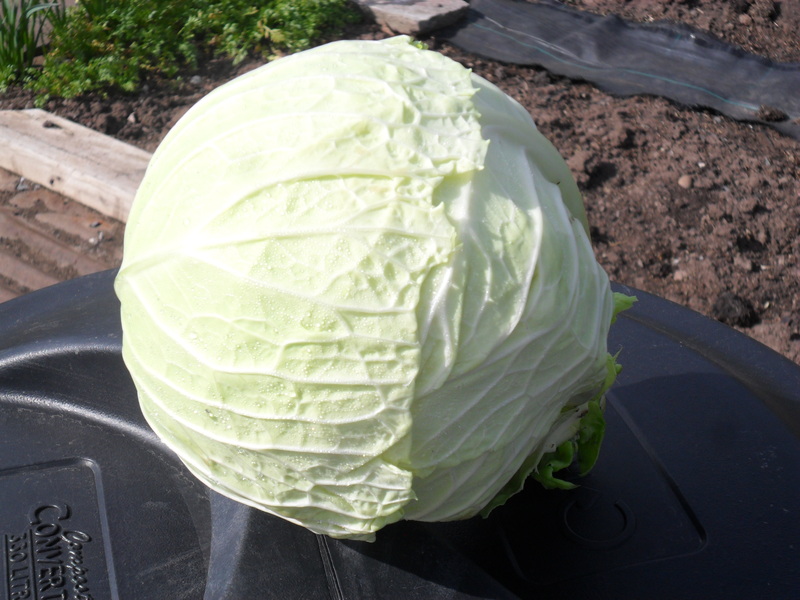 Brassica’s can be planted out, these include brussel sprouts, red and white cabbages, cauliflowers, kohl rabi, spouting broccoli, calabrese and kale. Leeks and peas can be planted out too. 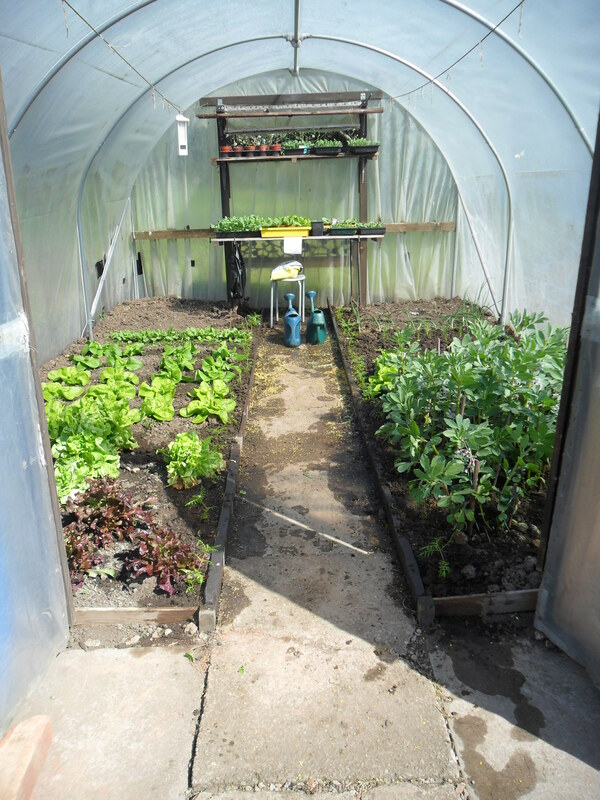 Lettuces and salad leaves can be planted but beware of frosts and cover them if necessary. Towards the end of the month, when frosts have passed, you can plant aubergines, peppers, chilli’s, outdoor cucumbers, pumpkins, courgettes, marrows, patty pans, runner beans, French beans, asparagus pea, celery, celeriac, summer squashes, sweet corn, tomatoes, Florence fennel and sweet potatoes. 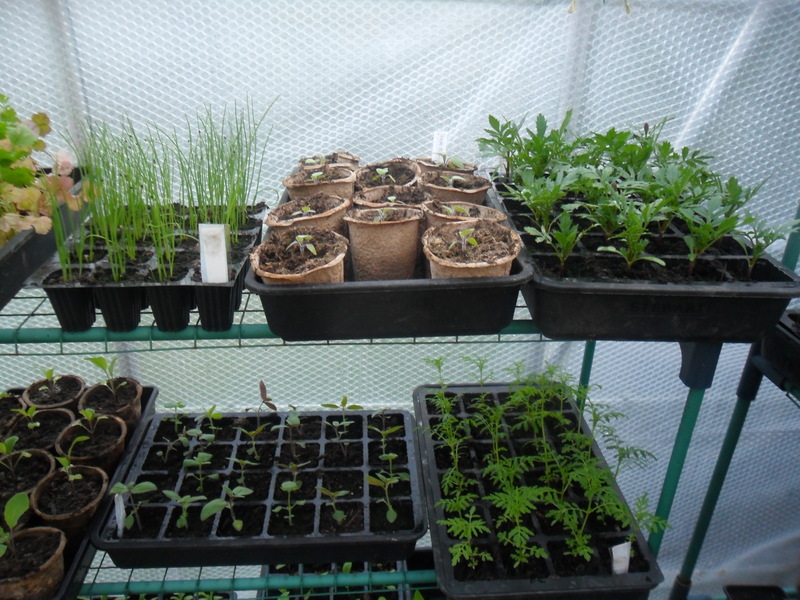 Water seedlings when required as May can be a dry month. Harden off seedlings ready to plant them out. Pick off the flowers on new strawberries, so the plant puts its energy into a making good root system instead of producing fruit. Flea beetle can be a problem this month, leaving tiny little holes all over leaves. They especially like brassica seedlings. Plants do usually recover, though when they are badly affected it can stunt their growth. Keep the seedlings moist so they grow as strong as possible. Lay a mulch of dry straw around your strawberries, this will keep the strawberries off the wet soil and dry straw will help to deter slugs and keep annual weeds from germinating.